Yes, that debate again. The one about a substance called…marijuana. Just how much does marijuana hurt society, lead to widespread panic, cause the erosion of brain cells etc. etc.? It’s a debate that never gets old, as long as cannabis remains illegal in most jurisdictions. 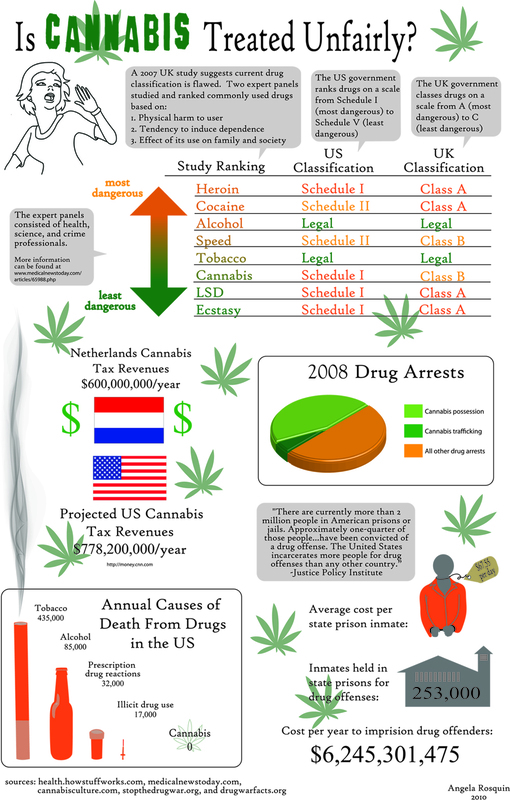 This infographic puts a unique spin on the issue by examining it from a “fairness standpoint” in regards to how it’s classified as a drug. 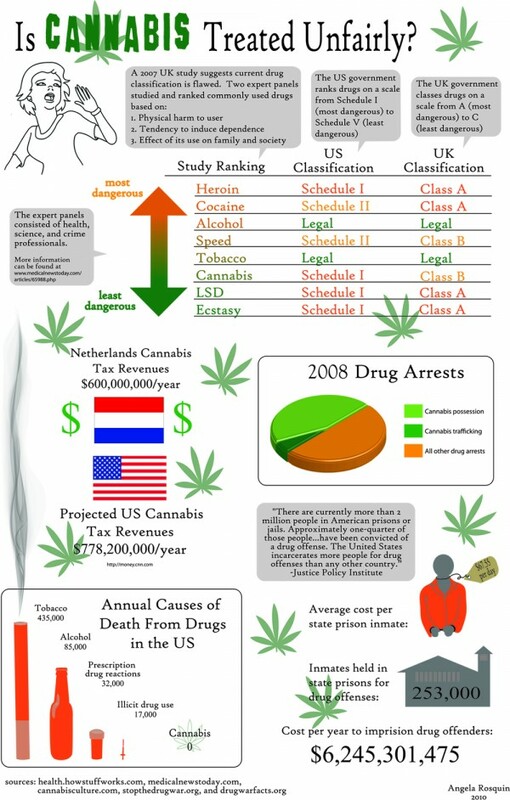 According to the graphic, a 2007 UK study suggested that the way we classify drugs is currently flawed because alcohol is mare dangerous than cannabis based on both the U.S. and U.K. drug scales, yet alcohol is legal while cannabis is not. There also seems to be a disproportionate number of cannabis-related arrests compared to other drug related arrests. A 2008 drug arrest pie chart shows that marijuana arrests carry quite a bit of the load. In fact, they carry half the load. 50% of drug arrests were cannabis related. Now, you’ll probably find this to be unusual: There were zero deaths from marijuana last year. By contrast, there were 435,000 deaths from tobacco and 85,000 from alcohol. I did not know that, if I may dig up Johnny Carson’s corpse for a moment and channel him. I really would have guessed that there would have been at least one death from cannabis last year since it’s, you know, illegal and all. But I guess not. Now, let’s delve into the grading segment. Caution: serious issues ahead. The design of this infographic fails on many fronts. In a word, it’s boring, and I’m being kind. It also has no flow. The one bright spot is that the images aren’t stock ones pulled from somewhere: the art does seem to be original. But what good is original art when it’s plain and uninteresting? The problems here are many-layered as well. Let’s talk about a specific detail. The information regarding the annual rate of death is vague. I assume it was from last year, but I do not know, and the graphic does not tell me. Off hand, I reject it as being false, but again, I have no way of knowing for sure if the information is accurate or not because I do not know what year it is referring to, nor do I know what the exact source of the information is. 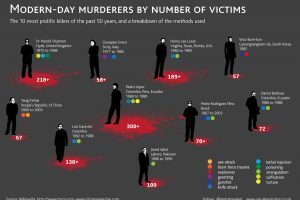 The graphic cites 5 different places as the source for that statistic without mentioning a specific URL where I can find it. I think anyone reading this graphic would expect such a bold stat like that to be backed up by something more concrete.